Under and Over Swirl Diamond Ring in 14k White Gold | Shane Co. 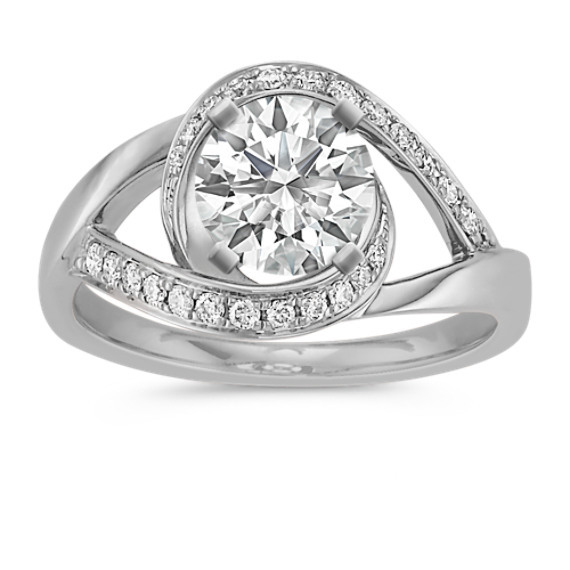 The center gemstone of your choice will be delightfully accented by 24 round diamonds, at approximately .20 carat total weight, in this dazzling setting. Two bands of swirl, crafted of quality 14 karat white gold, mix under and over creating a lovely setting.